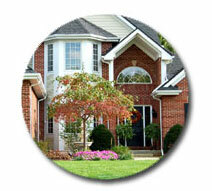 Short sale means selling your property for less money than what you owe the bank. In another statement when seller’s lender accepts to take less than the amount seller owes to his lender to avoid foreclosure. The differences between what you sell the property for and the remaining balance to the lender is called “forgiven amount” but the IRS may call it “debt relief” income. So keep in mind you may be liable to report the forgiven amount as taxable income although every situation is different and it is best to consult with your accountant or tax advisor before conducting short sale to determine potential liability if any. Short sale is practical method to avoid foreclosure and restart your financials and in today’s market condition short sale became reality and part of the real estate market. Short sale file working person on behalf of the seller needs to devote time and prepare the right file and accept to surpass all frustrating with the seller’s lender negotiator who may not know anything about the market condition and not know anything about the way transactions are handled in Illinois and further more may not want to know anything other than what he/she thinks know. I started facilitating short sale deals back in July 2006 at which time not many agents or sellers knew what short sale means. Since then I have closed hundreds of short sale deals, I have top knowledge of what needed to close the short sale and no one does it better than me. I have closed transactions that were denied prior short sale. According to my experience in the past 4-years with hundreds of closed short sale transactions it could take 45-days to 13-months although lenders are getting better every day in responding quicker than before.